HEAVY PLANET presents... BARON GREENBACK! 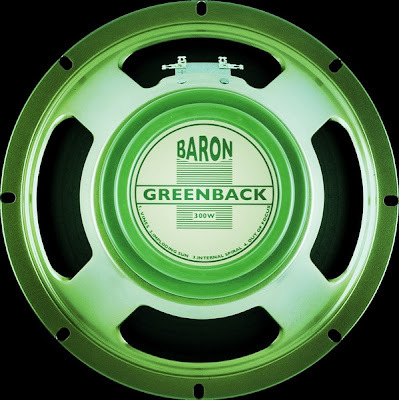 Formed at some point over the last few years, Baron Greenback is an outfit which doesn't like to marginalise itself with labels. Sometimes heavy, sometimes bluesy, sometimes sludgy, sometimes funky, the Barons play music which is just second nature to them. Recent gigs have yielded positive feedback. "What I love most about UK band Baron Greenback is the fact that they are not afraid to take a chance. Based on the above, their sound runs the gammut of styles from funky heavy groove to biting sludge. The band even gets a little trippy and jazzy at times albeit with a plethora of doomy riffs and a wall of crushing fuzz. The band has a show this coming Friday night August 17 at Scruffy's in Birmingham with fellow stoner doom merchants the almighty Alunah, Groan and Trippy Wicked. If you live anywhere near this venue, I strongly urge you to attend. This will be a monumentous occasion. Cheers to the Barons!"